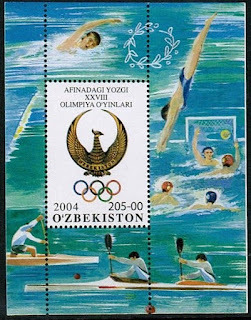 In 2004, Uzbekistan issued a souvenir sheet celebrating the Summer Olympics (Scott #387). Only 20,000 were issued, and Scott '13 prices it unused at $3.00. 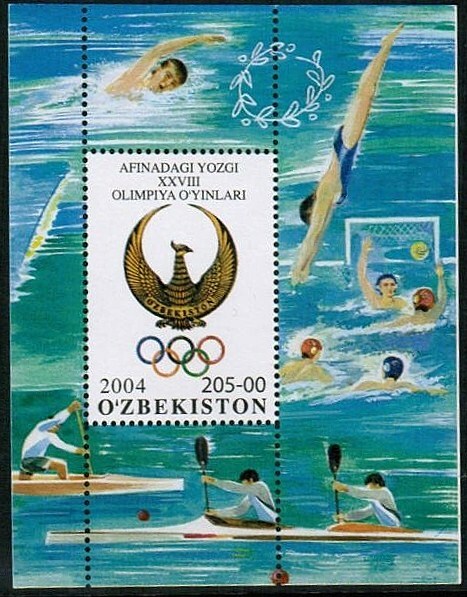 The sheet makes an interesting and low-risk speculation based on its appeal as a Sports/Olympics topical, and as a bet on the economic growth of Uzbekistan and the development of a stamp market there. This recommendation is consistent with my belief that one of the best ways to play the new and newly resurrected countries of Europe and Asia is to focus on popular topicals with low printings. 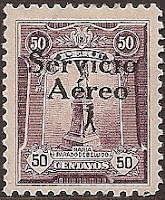 In 1927, Peru overprinted 10,000 of its 50c Statue of Maria Bellido stamps (Scott #248) "Servicio Aereo", thereby creating its first airmail stamp (Scott #C1). Scott '13 prices the unused stamp at $50.00. The genuine stamp is worth owning. 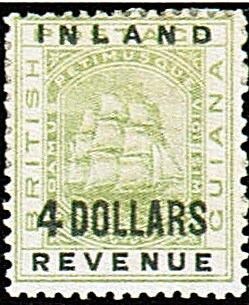 Unfortunately, examples with fake overprints exist, and C1 is still too inexpensive to justify paying for expertization on an individual stamp. Therefore, the prudent means of investing in it is to purchase multiples (blocks of 4 or more stamps), conditional on obtaining expertization. Peru has issued a number of undervalued sets, which I intend to cover in the future. 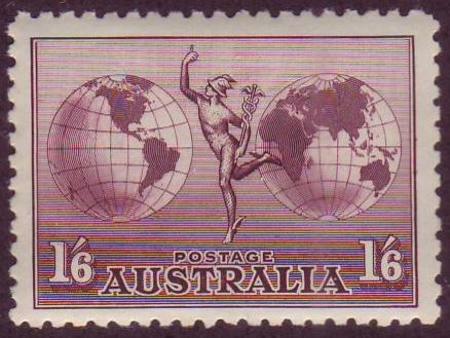 Demand for the country's stamps is boosted by the tendency of many collectors to focus on Latin America as a region. With a population of 29 million, Peru is an emerging market nation which has experienced significant economic growth over the last 15 years, and annual GDP growth averaging 7.2% over the last 5. Major exports include copper, gold, zinc, textiles, and fish meal. In 2010 Peru's per capita income is about $10,000. Poverty has steadily decreased since 2004, when nearly half the country's population was under the poverty line, although great inequities in income distribution persist. As the trend continues and more Peruvians join the middle class, the country's better stamps should do very well. 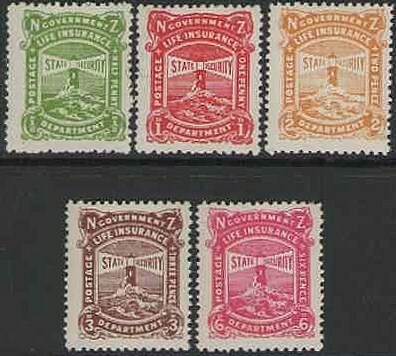 New Zealand began issuing stamps for use by its Government Life Insurance Department in 1891. From 1946 to '47, New Zealand issued a set of five Life Insurance Stamps (Scott #OY24-28), utilizing the same Lighthouse common design that had been used in its earlier 1905-32 set (Scott #OY10-23). 13,800 of the were issued, and Scott '13 prices the unused set at $ 24.55 ($42.50 for NH) . All of the early New Zealand Life Insurance sets are scarce and undervalued - possibly because they are neglected as obscure back-of-book issues. I've begun a new blog, "The Stamp Specialist", which features wholesale buy prices for stamps which I am interested in purchasing, as well as links to other dealers' buy lists. Viewing dealers' buy lists every now and then is an excellent way to keep current on the vagaries of the stamp market. In a recent article in The American Philatelist ("The Future of Forgery" - October, 2011 edition), Stephen Rose describes the probable future advances in 3D scanning and printing technology, and the possible implications for collectibles markets. With this new technology, a computer-aided design may be executed to produce a three dimensional object by "printing" a thin layer at a time. 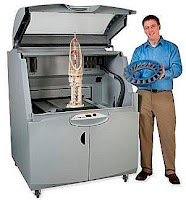 3D printers have already been used to produce dental crowns, jewelry, and musical instruments. The article describes a threat to collectibles markets in general (and to the stamp market in particular) brought about by a convergence in advances in computing power, scanning capacity, and 3D printing. If these technologies converge so as to allow a forger to produce a virtually identical copy of a collectible which is accurate at the molecular level, then it is possible that all collectibles may be rendered almost worthless. Should the technology advance to the point where any collectible - be it a rare coin, stamp, Ming vase, painting, classic car, etc.- may be reproduced with near perfect accuracy such that authentication is impossible, then all collectibles markets will be decimated in short order. Museums housing what were once billion dollar collections will be converted to shopping malls, and the "Collectibles Bubble" will be compared to the Tulip Craze of the 17th century Netherlands. Of course, as with all radical projections concerning the future, the prediction that 3D printing will mean the end of the collectibles business currently seems about as credible as science fiction. 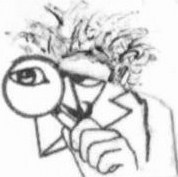 While it is likely that the technologies which might be applied by a forger will develop over time and that costs of reproducing objects will decrease, the key questions are whether it will ever be possible to produce virtually identical copies of originals, and whether the science of authentication also advances to counter the threat. It will be interesting to see how the relevant technologies progress over the next decade or two. 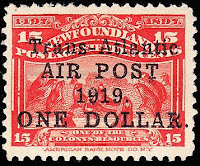 Newfoundland issued several overprinted airmail stamps that served as postage on pioneer flights, which are of great interest to Aviation topicalists and include some of the great rarities of Aviation Philately. The rarities are unaffordable for the vast majority of collectors, but the lesser flight overprints are also quite scarce and worthy of consideration as investments. 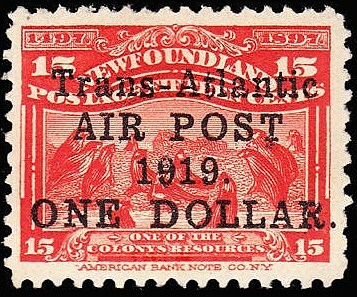 In 1919, Newfoundland surcharged 6,786 15c Seal stamps (Scott #70) from its 1897 Pictorial series, increasing the stamp's value to $1. 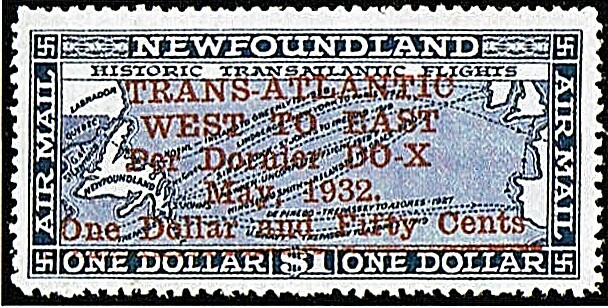 The stamp (Scott #C2) was used on covers which were carried on the first successful non-stop trans-Atlantic flight. Scott ' 13 prices the unused stamp at $225.00 ($375.- for NH). As with many overprinted stamps, varieties were produced, including one without comma after "Post" (pictured; Scott C2a- CV = $240.- , 2,796 issued), and a much scarcer stamp without the period after "Dollar" (Scott C2b- CV= $ 450.- , 398 issued). I recommend purchase of any of these stamps in VF NH or LH condition, or on a Flight cover. C2b probably offers the most bang for the buck as an investment, given its current scarcity and market value. As with all valuable overprinted stamps, expertization is strongly recommended. Many of the better stamps of Newfoundland were issued in modest quantities. I intend to revisit them in the future, as I am "doggedly bullish" (to badly mix metaphors) about better British North America in general. 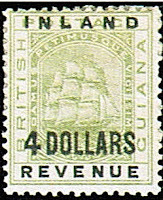 This area is very popular among collectors of both Canada and British Commonwealth, and the better items represent solid investments, as interest in stamp collecting in Canada is much stronger than it is in the U.S. .
With a population of about 31 million, Canada is one of the world's wealthiest countries, and is one of the world's top ten trading nations. GDP growth has averaged 2.2% over the past five years, which takes into account the 0% growth of 2009 due to the global financial crisis. Canada's population is expected to age significantly over the next decades. Canadians over 60 are projected to increase from 16.7% of the population in 2000 to 27.9% in 2025, and 30.5% in 2050. Consequently, in the future, many more Canadians will be spending time working on their stamp collections on cold winter days. 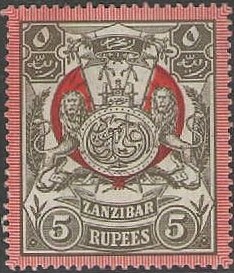 In 1904, Zanzibar, then a British protectorate, issued a set of fifteen stamps picturing the monogram of Sultan Ali bin Hamoud (Scott #79-93). While printing quantity information is unavailable for this set, I estimate that fewer than 5,000 were issued. Scott '13 prices the unused set at $318.75. In 1964, Tanganyika joined Zanzibar to form the United Republic of Tanganyika and Zanzibar, which changed its name to the United Republic of Tanzania in 1965. 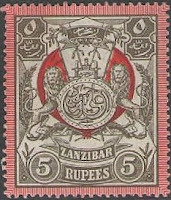 While it is likely that in the near-term, British Commonwealth collectors will generate most of the demand for stamps of Zanzibar, should a significant stamp collecting community develop within Tanzania, the undervalued stamps of the former protectorate will skyrocket. Tanzania has a population of about 43 million, and its economy is mostly based on agriculture, which accounts for more than half of the GDP, provides about 75% of exports, and employs approximately 75% of the workforce. Topography and climate, though, limit cultivated crops to only 4% of the land area. The nation has many natural resources including minerals, natural gas, and tourism, and the government has instituted policies to promote development of these sectors. Annual GDP growth has averaged about 6.5% over the last 5 years. 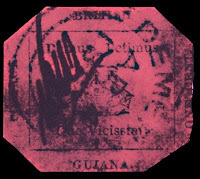 British Guiana was a former colony of Great Britain in South America which attained its independence as the nation of Guyana in 1966. 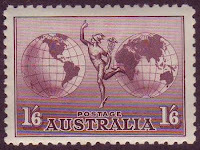 From a philatelic perspective, it is most famous for having issued the stamp that was once considered the world's most valuable, the unique 1856 1c Black on magenta (Scott #13). 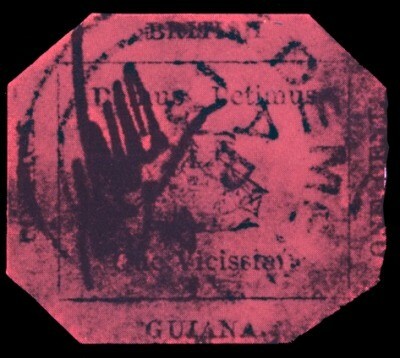 In 1889, British Guiana surcharged eighteen stamps of its current revenue issue for postal use (Scott #112-28). 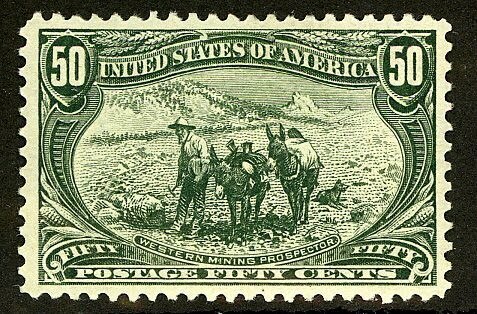 All of the high values of the set from the $1 through the $5 are extremely scarce to rare, with fewer than a thousand of each issued.The quantity issued is unknown for the key stamp of the set, the $4 Green with Type II Surcharge (Scott #127A), but it was probably 100 or fewer. Scott '13 prices the unused set at $4,365.00. I recommend purchase of the complete set in F-VF or better, LH condition, or any of the high values individually. As with many valuable overprinted stamps, these should be purchased conditional on obtaining expertization. This issue represents a conservative investment based on the projected growth in popularity of British Commonwealth stamps. Should a significant stamp-collecting population develop in Guyana, the set will be given an added boost. A nation of about 750,000, Guyana has a medium level of economic development, which is mid-way between the affluent countries of Europe and North America and the countries that are the poorest and most deprived.Its dominant industries are agriculture, mining, and fishing. Annual GDP growth has averaged about 4.5% over the past 5 years. 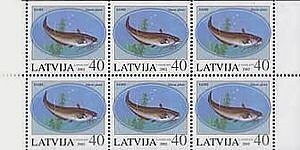 In 2002, Latvia issued a set of two stamps picturing fish (Scott #555-56), along with a booklet (Scott #556a). Only 5,000 of the booklet were issued, and Scott '13 prices it unused at $15.00 . The booklet has multiple market appeal among collectors of Latvia, Baltic States, and Animal topicals, the most popular thematic category. Furthermore, demand is enhanced for all Baltic States material by the tendency of collectors to focus on the region in general. A nation of 2.2 million people, Latvia has diverse industries which include the production of synthetic fibers, agricultural machinery, fertilizers, radios, electronics, pharmaceuticals, processed foods, textiles, and timber. The centrally planned system of the Soviet period was replaced with a structure based on free-market principles. Riga, the capital, emerged as a regional financial and commercial center, which initially benefited the country but left it exposed to the worldwide economic tsunami which hit the banking sector in 2008. Until the onset of the global financial crisis, Latvia had the fastest growing economy in Europe. Over the last 5 years, the GDP has contracted by an average of about 1.5% annually, reflecting a 4.6% contraction in 2008 and an 18% disembowelment in 2009. Over the last two years, the economy has begun to recover. 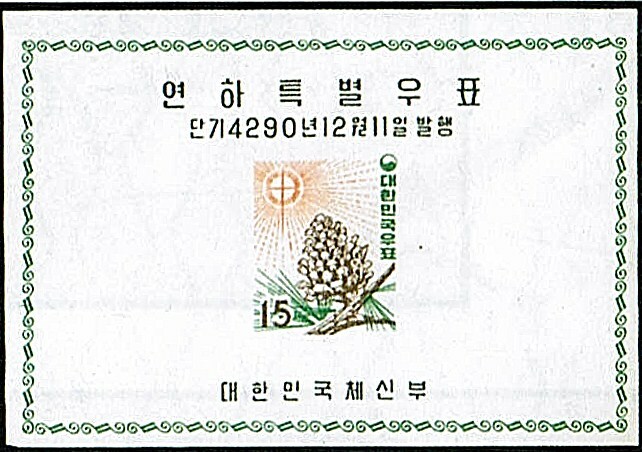 In 1957, South Korea issued a rather boring set of stamps celebrating Christmas, and picturing the Star of Bethlehem and a pine cone (Scott #265-67). In addition, it also issued three souvenir sheets duplicating the stamp designs (Scott #265a-67a). Only 2,000 of each souvenir sheet were issued, and Scott '13 prices the set of unused sheets at $1,800 ($3,000.- for NH) . I recommend purchase of these souvenir sheets, as they should do well based on the growth in popularity of Religion/Christianity topicals, as well as interest in stamps of Korea. South Korea, a nation of about 50 million people, is one of the fastest growing economies in the world. Currently, it is the world's 13th largest economy and eighth largest exporter. It's export-fueled economic growth has led to a miraculous explosion in its GDP, from almost nothing 50 years ago to about $1 trillion today. Annual GDP growth has averaged about 4% over the last 5 years, reflecting a slowdown in 2009 due to the global financial crisis. Furthermore, South Korea may be the most rapidly aging nation on earth, as its 65+ population is expected to more than quadruple from 9% in 2005 to 38% in 2050. Obviously, this could pose economic challenges for the country, but it will almost certainly add to its stamp collecting population. 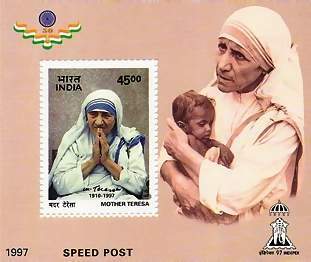 In 1997, India issued a souvenir sheet honoring Mother Teresa (Scott #1658. Only 50,000 were issued, and Scott '13 prices the unused souvenir sheet at $6.00. All Indian souvenir sheets with printings of 100,000 or fewer should be accumulated, with priority given to those issues which have strong thematic appeal. The Mother Teresa souvenir sheet has obvious appeal as a Religion/Christianity topical, and should do very well indeed. Had a souvenir sheet with a printing of 50,000 and similar appeal been issued by the People's Republic of China, it's value would be hundreds of times greater, but fortunately for the philatelic investors who read this blog, the Indian stamp market is decades behind that of the PRC's. That will almost certainly change, as India is a rapidly developing nation of over a billion people. Millions of Indian collectors will likely be converted to the insidious cult of Philately over the next decades. Those interested in viewing a list of scarce stamps with printing quantities of 100,000 or fewer may wish to view the StampSelector Scarce Stamp Quantities Issued List, which currently contains over 9,700 entries. Researching quantities issued data is vital to determining in which stamps to invest. 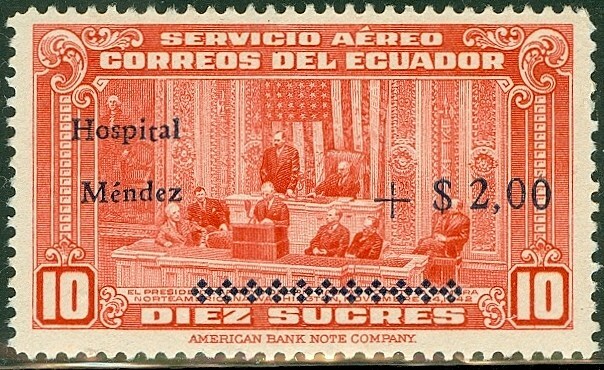 In 1944, Ecuador issued a surcharged compound set of semi-postals and airmail semi-postals to provide funds for the Mendez Hospital (Scott #B1-6/CB1-5). 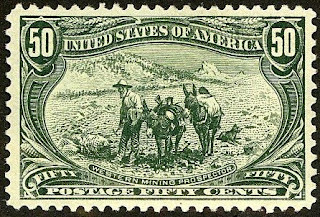 Only 2,500 sets were issued, and Scott '13 prices the unused set at $47.00. The set is grossly undervalued, and should do well based upon the growth of interest in Medical Topicals as well as in stamps of Latin America in general and Ecuador in particular. While I generally recommend obtaining expertization when purchasing scarce overprinted stamps, doing so in unnecessary in the case of this set, because it is inexpensive and not significantly more valuable than the un-surcharged sets that comprise its basic stamps. Ecuador, a democratic republic of 13.6 million people, is considered a medium-income country, with about 38% of its population living below the poverty line. Ecuador's natural resources include petroleum, fish, shrimp, timber and gold. In addition, it has a prosperous agricultural sector, producing bananas, flowers, coffee, cacao, sugar, tropical fruits, palm oil, palm hearts, rice, roses, and corn. While Ecuador's economy suffered during the 2008-09 financial crisis, weathering a default and repurchase of its debt at a discount, it seems to be recovering. Annual GDP growth over the last 5 years has averaged 4.5%. I've begun a new blog, "The Stamp Specialist", which will feature wholesale buy prices for stamps which I am interested in purchasing. Viewing dealers' buy lists every now and then is an excellent way to keep current on the vagaries of the stamp market. 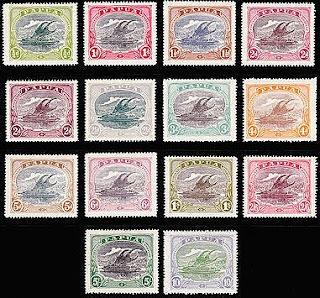 From 1916-31, Papua issued a colorful set of fourteen stamps picturing a lakatoi, a native boat of Papua (Scott # 60-73). Printing quantity information is unavailable for this issue, but I estimate that fewer than 10,000 sets were issued. Scott '13 prices the unused set at $311.75. It is likely that most of the sets were used as postage and discarded. It was issued piecemeal over a decade and a half, and the high values were expensive for the time it was in use, especially during the Great Depression. Also, it has the added appeal of being a Transportation/Ship topical. The following is an interesting article written by Jal Cooper and published in the March 1944 issue of "India’s Stamp Journal" (Bombay) about M.K. Essaji - an Indian stamp dealer who sold India first issues by weight. I introduce today to my readers Bombay’s oldest veteran stamp dealer, or rather the doyen amongst the Indian stamp dealers, in Mr. A.K. Essaji, the proprietor of the Eastern Art Galleries, 33 Apollo Pier Road, Bombay. Few dealers or collectors in any part of the world must have handled the classic materials on wholesale basis as done by Mr. Essaji. Since establishing himself as a stamp and art dealer in 1902 in the famous old Bombay rendezvous of the connoisseurs of art and curios, viz. in the Meadows Street in a small shop on a monthly rental of Rs 2/-, Mr. Essaji must have at least handled over a hundred thousands stamps of India 1854 imperforates. In fact, Mr. Essaji had a regular wholesale expert trade with English dealers to supply India 1854 1⁄2 and 1 anna values at 6/- and 12/- shillings per 100 respectively, a price at which one can obtain today single copies of this issue! In fact, as he had no time to count up a large lot of India 1854 mixed values including the scarce 4 annas value, he had once shared a deal by weighing out the shares. This was done when he had purchased from a junk dealer in Porbandar some sackfuls of India 1854 stamps numbering about 47,000 for a princely (?) sum of Rs. 240/- in partnership with late Khan Bahadur Padamji of Bombay. As they had no time nor the necessary patience to count up the large lot, they weighed out their shares! This was not all. Mr. Essaji used to cut off the large blocks in singles to enable him to tie them up in bundles of 100 each for his export trade!! An American collector in Bombay rightly exploded when he heard this and was not slow in denouncing Mr. Essaji in round terms. “Brother, he ought to be hanged!” was his painful exclamation. But then, what do you think of a dealer in Bombay who returned to Mr. Essaji a lot of 1⁄2 anna 1854 after two days approval stating that the price of Rs. 30/- was too high for 2,000 copies!! Shades of phantom philately! I believe that this fellow ought to have been shot dead as well as hanged! Again, what do you think of Mr. Essaji’s another most spectacular purchase of Ceylon Pence issues on original entires? They did not number a few dozens or a few hundreds. No, Sir, they just numbered about 30,000! YES SIR, THIRTY THOUSAND!! This lot was lying about in a Gujerati Bania’s shop in a wooden box which was sold out to a junk dealers’ company (they were four partners) in Parsi Bazaar Street, for a paltry sum of Rs. 5/- as there were rats in the box, and as two of the rats had decided to bury themselves in the graveyard of Pence issues originals. The box was emptied and the contents given a cleansing with phenoid and sun bath!! And in a couple of days the treasure - I cannot name the junk in any other way though they may have contained in them the plague germs which were in abundance at that time in Bombay and have not been able to ascertain from Mr. Essaji if any collector was a victim - was bought by Mr. Essaji for a magnificent sum of Rs. 800/-, as the four partners of the junk dealers’ company wanted half anna each per cover. Mr. Essaji bought the lot with Rs. 50/- down and the balance to be paid in two days - in those days the easy pay as you can installment system did not seem to exist - and the lot was removed to his home to give it a further cleansing and sort out the good ones, as if the Pence issues have some bad ones amongst them! On the very next day, Mr. Essaji sold two covers to Professor Muller of the Wilson College for Rs. 1,000/-!!! I do not know if there was any excess profit tax in existence or even the income tax in those days, because Mr. Essaji has never complained to me in the matter! Besides these, Mr. Essaji had the good fortune to buy large collections of those days and when I say large I mean it, because once he purchased two trunkfuls of a collection as the collector had everything of philately as in those days, to wit, bundles and bundles of cards and covers and albums galore. This junk was worth in those days in the neighborhood of Rs. 40,000/-, but the price paid by Mr. Essaji was Rs. 4,000/- only, as he explained to me that in those days he never bought a stamp collection unless he was confident of securing several hundred percent profit on his deals! No Sir, he was not a profiteer but he explained that he had to base his profits in tune with his expenses for maintaining his large family. Collectors, in future make sure that you make your purchases from a bachelor stamp dealer!! But to crown all, Mr. Essaji was the first enterprising stamp dealer to venture to have stamp auctions in India and in fact, he held over half a dozen sales which were finally given up for want of support from collectors. This humble writer acted as his secretary in conducting these sales. Besides being a stamp dealer, Mr. Essaji today ranks as a foremost authority in Bombay in Persian carpets and Mughal early paintings. In fact, these two are his main trade activities of nearly half a century, whereas dealing in stamps is only his side line! If these were not sufficient, Mr. Essaji possesses a very sound knowledge about early Indian coins, whereas very few in India can equal him in his knowledge and experience of old China, early embroidery, in fact of practically everything which a connoisseur of art loves and respects. If any readers have a doubt about Mr. Essaji’s selling early India 1854 1⁄2 anna and 1 anna values at 6/- and 12/- per 100, I can confidently assure them that it was quite possible as the Stanley Gibbons’ prices in those days were as follows: 1⁄2 anna (any die) 4d, 1 anna (dies I and II) 6d, 1 anna (die III) 5/-. 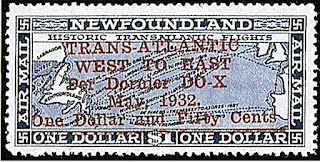 In 1932, Newfoundland issued a $1.50 airmail stamp for use on the Trans-Atlantic Dornier Flight (Scott #C12) by surcharging 7,980 of its 1931 $1 Airmail Stamp (C11). 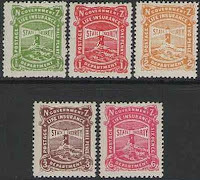 Scott '13 prices the unused stamp at $ 275.00 ($425.- for NH). I recommend purchase of the stamp in VF NH or LH condition, or on a Flight cover. Those interested in viewing a list of scarce stamps with printing quantities of 100,000 or fewer should take a look at the StampSelector Scarce Stamp Quantities Issued List, which currently contains over 9,700 entries. Most of the early definitive sets of the Spanish Colonies picturing King Alfonso XIII (as an infant, boy, or young man) are very scarce, and they are overlooked by the market because the colonies are often obscure and the sets are seldom seen. 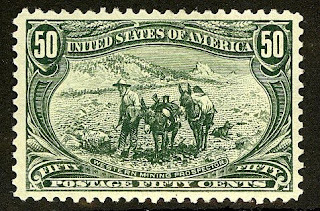 The condition of these sets is often far from ideal, and the stamps within frequently have rough perfs or poor centering. If found in F-VF+ LH condition and reasonably priced, they should be purchased and held as long-term investments. Such is the case with many of the sets of Elobey, Annobon, and Corisco, a group of islands administered by the Spanish which issued 60 postage stamps (all of which are good) between 1903 and 1910. The islands are now part of the nation of Equatorial Guinea. 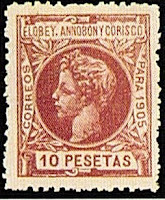 In 1905, the Spanish colonial administration of the islands issued a set of 16 stamps portraying Alfonso XIII (Scott #19-34). Only 2,000 of the 10p Claret high value were issued, and Scott '13 prices the unused set at $ 811.60 ($1,500.- for NH) . I recommend purchase of either the entire set or the 10p if found in either F-VF+ NH, LH or used condition. I view the issue as a conservative investment based on the growth in popularity of Spanish Colonies stamps. Also, though the development of a significant stamp collecting population in Equatorial Guinea in the foreseeable future is unlikely, should that happen, it could dramatically boost the value of all of the stamps of Elobey, Annobon, and Corisco. Equatorial Guinea is one of the smallest nations in Africa, with a population of just under 700,000. It is one of the richest nations on a per capita basis due to significant oil reserves; however, the the wealth is distributed very unevenly and benefits a tiny elite, and 70% of the population lives on about $2 per day. The country's brutal regime protects the wealthy and maintains the inequity, as Equatorial Guinea has one of the worst human rights records in the world, consistently ranking among the "worst of the worst" in Freedom House's annual survey of political and civil rights. 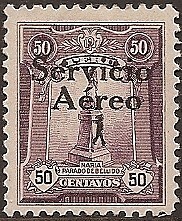 In 1929, El Salvador issued its first airmail stamp (Scott #C1), by applying the black overprint "Servicio Aereo" to a portion of its 1924-25 20c Balsam Tree stamps. However, a single sheet of 100 was overprinted in red instead of black (Scott #C1a), creating a very scarce stamp. Scott '13 prices the unused stamp at $850.00 . In my opinion, the stamp's gross undervaluation results from its having been neglected because it's a Latin American issue, because it's a visually "boring" overprint variety, and because of the inconvenience of obtaining expertization, which is necessary when buying it since fake overprints exist. The first of these factors is gradually losing validity as the Latin American stamp market grows, and I believe that the others will also fade in significance. The stamp is at least as scarce as the U.S. Inverted Jenny, represents a market that's growing much faster, and may be had for about a thousandth of the cost. Over the last decade or so, a "stealth bull market" has developed for better Latin American material, especially for scarce issues with wide topical appeal. Supplies have been gradually depleted, and many items which formerly retailed for about 20%-30% of Scott are now selling for 60%-80%, and their catalog values have substantially increased as well. Frequently, Michel Values, which are usually much higher than Scott for Latin America, are used by auction houses when listing this material. As the region has cast aside its authoritarian dictatorships and become more democratic, it has experienced healthy economic growth and the concurrent development of a middle class. El Salvador, a nation of 5.7 million, is a poor though steadily developing economy, which has experienced annual GDP growth averaging just over 1% over the last 5 years. There has been a recent deceleration in economic growth due to the global financial crisis. In addition, there are between 500,000 and 1 million Salvadorans in the U.S., most of whom immigrated during El Salvador's "Dirty War" of 1979-92. Salvadorans in the United States are among the hardest-working immigrants, and send about $800 million back to their families in El Salvador every year. Although Salvadoran Americans currently toil in the lowest-paying sectors of the American economy, they work long hours, save a great deal, and are gradually becoming more prosperous. While I believe it may take a while for a significant stamp collecting population to develop among Salvadorans, this is mitigated by the fact that many collectors of Latin American stamps collect the region generally, rather than specializing in a particular country. 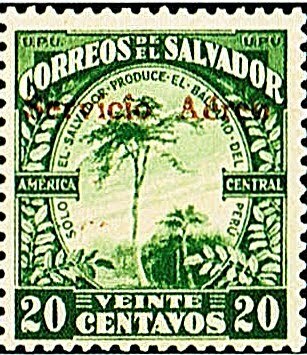 I have begun a new blog, "The Stamp Specialist", featuring my buy lists for stamps which I wish to purchase, including many items from El Salvador .Periodically viewing dealers' buy lists is an excellent way to remained informed about the state of the stamp market. I'm initiating coverage of Monaco by recommending the Birds Airmails of 1955-57. These comprise two sets of high values, the normal set (Scott #C41-44), and the perf. 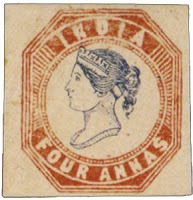 varieties (Scott #C41a-44a - 3 stamps). 32,000 of the first and 30,000 of the second set were issued, and Scott '13 prices them unused at $225.- and $757.50 , respectively. The perf varieties are significantly more expensive because they were initially ignored by collectors. 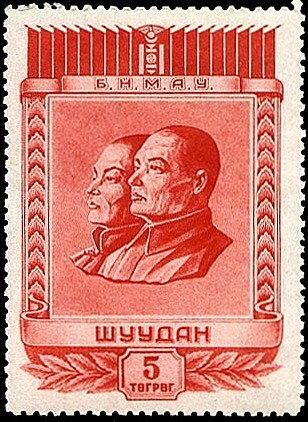 It is likely that many of the stamps from both sets were used as postage on packages and discarded, because they were expensive when issued. 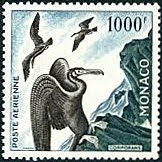 Monaco is an affluent but tiny principality of about 32,000 people, and therefore its stamps appeal mainly to French Colonies/Area collectors and topicalists, rather than Monegasques. Like the other small stamp-issuing entities of Europe, Monaco has supplemented its foreign exchange earning by issuing attractive topical stamps. According to a recent survey, Animals are the most popular topical collecting category among U.S. collectors, with Birds coming in 7th as a popular sub-category. It is likely that this popularity is roughly the same internationally. In 1994, Kazakhstan issued a souvenir sheet honoring the Russian Space Shuttle and Kazakh cosmonaut Toktar Ongarbayuly Aubakirov (Scott #56). 40,000 of the souvenir sheet were issued, and Scott '13 prices it unused at $3.50 . 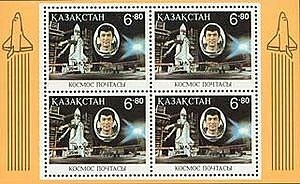 The sheet makes an interesting and low-risk speculation based on its appeal as a Space Exploration topical, and as a bet on the economic growth of Kazakhstan and the development of a stamp market there. This recommendation is consistent with my belief that one of the best ways to play the new and newly resurrected countries of Europe and Asia is to focus on popular topicals with low printings. A nation of 16 million, Kazakhstan is known to many outsiders from the somewhat demeaning film comedy "Borat." It is the 9th largest country in the world, with a territory greater than that of Western Europe, although its population density is less than 15 per square mile. Kazakhstan has plentiful reserves of oil, natural gas, uranium, chromium, lead, zinc, manganese, coal, iron, and gold. It also has a major agricultural sector, and is the seventh largest producer of grain. Annual GDP growth has averaged over 5% over the last 5 years. 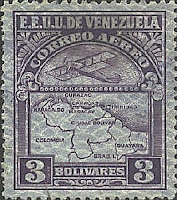 Between 1930 and 1939, Venezuela issued four airmail sets picturing a biplane and a map of the country. 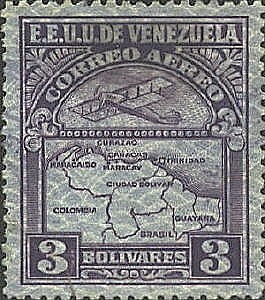 All four sets are undervalued, and have multiple market appeal to collectors of Venezuela, Aviation, and the small but growing number of Map-on-Stamp topicalists. 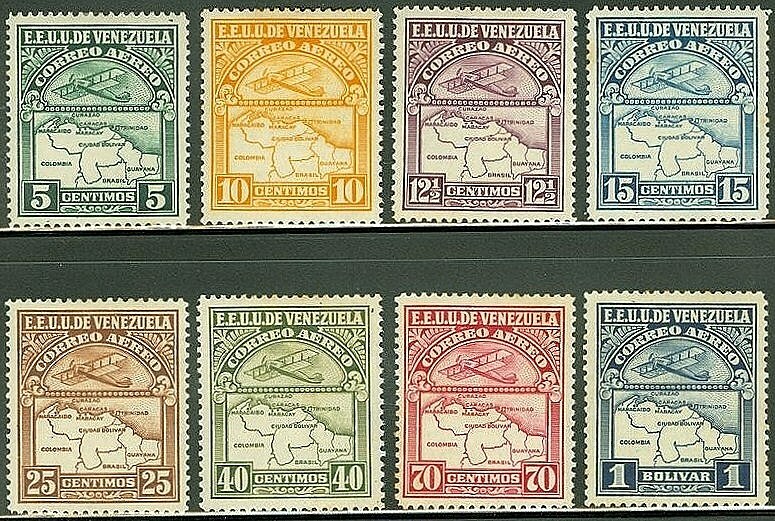 The four sets are Venezuela's first airmail set of 1930 (Scott #C1-16), the 1932 set of similar design issued on bluish Winchester Security Paper (Scott #C17-40- example pictured at right), the 1937 Surcharged set (Scott #C41-46), and the 1938-39 set issued on white paper without the imprint at bottom, which is pictured above (Scott #C119-26). 30,000, 15,300, 5,000, and 50,000 of these sets were issued, respectively, and Scott '12 prices them unused at $ 24.50, $167.05, $66.00, and $34.45 . Many of these Depression-era sets were probably used as postage and discarded. Few Venezuelans of the time could afford to purchase and save the stamps in unused condition. is an excellent way to remained informed about the state of the stamp market. The British administered Malaya as a group of protectorates, which included the various sultanates. These were later consolidated into the Federation of Malaya., and ultimately the independent nation of Malaysia in 1963. 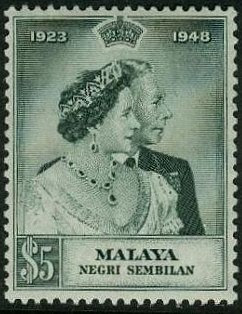 In 1948, the Sultanate of Negri Sembilan issued a set of two stamps celebrating the Silver Wedding Anniversary of King George VI and Queen Elizabeth, later known as the Queen Mother (Scott #36-37). 19,151 sets were issued, and Scott '12 prices the unused set at $28.10 . The set has multiple market appeal among collectors of Malaya/Malaysia, British Commonwealth, and British Royal Family topicals. As a popular topic for British Commonwealth collectors, it's hard to beat the Royal Family, with a stick, scepter, or other appropriately heavy object, and banking on such loyalty can pay interest. With a population of over 28 million, Malaysia is an emerging market nation and the 29th largest economy in the world. It has abundant minerals and petroleum, vast forests, as well as a thriving agricultural sector. Nevertheless, over the last four decades, the Malaysian government has committed the nation to a transition from reliance on mining and agriculture to manufacturing, and is moving to conserve its remaining forests and reforest the overcut areas. The government has recently taken steps to make Malaysia more business-friendly, and the number of Malaysians living in poverty has also decreased. As of 2007, average wages were around $34 per day, up from about $9 per day in 1999. Annual GDP growth has averaged over 5% over the last five years, although the country's economy was hurt by the global financial crisis. The Falkland Islands, an archipelago in the South Atlantic off the coast of Argentina, is a self-governing territory of the United Kingdom. 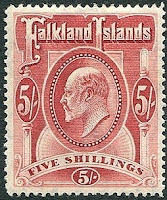 While Falkland Islanders comprise a tiny but very affluent population of about 3,000, from a philatelic investment perspective, the Falklands are of interest because they appeal to both British Commonwealth and Antarctic territories collectors. 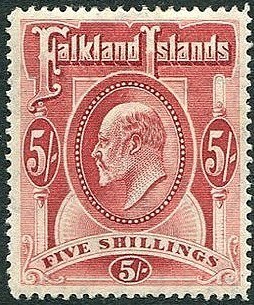 From 1904 through 1907, the Falklands issued a set of six stamps portraying King Edward VII (Scott #22-29). Only 6,060 were issued, and Scott '13 prices the unused set at $577.75 . I recommend purchase of the set in F-VF+ NH or LH condition. Few people were collecting stamps of the Falklands a century ago, and the high values of the set were pricey, considering that the average worker of the time earned only about 10 to 20 shillings per week. Most of the sets were probably used as postage and discarded. Readers who are on Facebook are welcome to join the "StampSelectors" group, which focuses upon philatelic investing, the stamp market, and practical matters regarding buying and selling stamps. It also offers the opportunity to comment upon this blog and suggest future stamp investment tips.